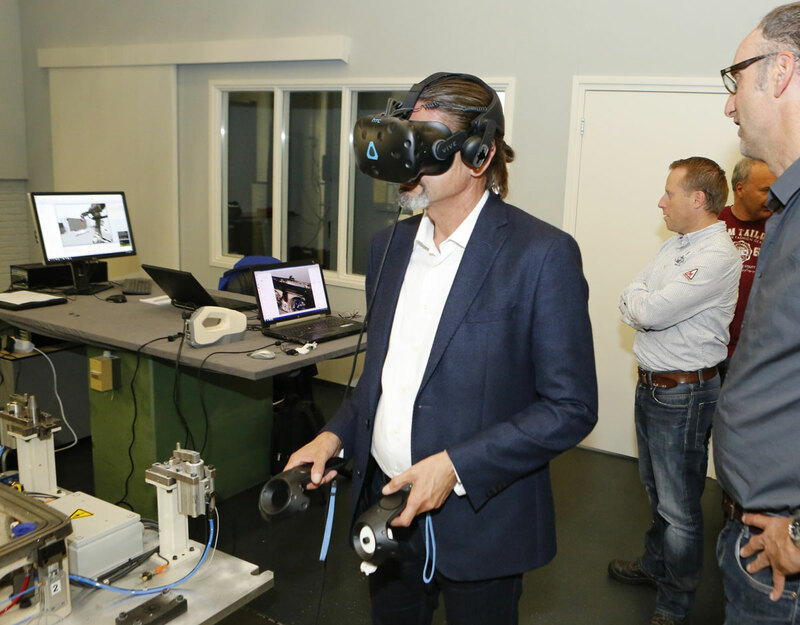 A unique digitalization project is currently underway at the automotive site in Bunschoten, the Netherlands: together with ABB, a variety of robotic processes including welding, using lasers, and folding are being programmed with the aid of virtual reality. voestalpine Automotive Components Bunschoten regularly takes over robotic production equipment from its customers in order to offer a replacement body parts service once the original manufacturer has taken the parts out of serial production. 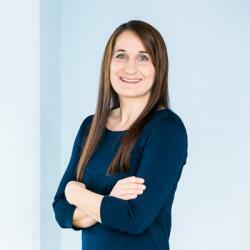 To be able to integrate these robots into the company’s own production processes, the robots need to be reprogrammed on site so that the company’s own data is compatible with the “new” equipment. That takes time and is complex. Furthermore, the programmers have to evaluate the 3D data on a normal 2D computer monitor. This process is now simpler and more efficient thanks to the application of virtual reality. The voestalpine subsidiary in the Netherlands is working on a completely new approach which will save a lot of time in getting the installations up and running on site. In an initial step the delivered equipment is scanned using a hand scanner with the data then sent to the programmers. Using virtual reality glasses and in the comfort of their own office, in a second step the programmer can closely observe the condition of the equipment. In a third step, voestalpine Automotive Components Bunschoten works together with robotics manufacturer ABB. Their program simulates the robotic arm for the programmer in virtual reality. The robotic arm can be controlled virtually, determining where the robotic points need to be positioned. The computer notes the coordinates so that later the real robot can use the virtual program to repeat the simulated steps on the real production facilities. This approach offers many advantages: on the one hand, programming is much faster and can be undertaken by much less experienced programmers as the virtual environment is so much more intuitive. And on the other, it is much easier for the technicians to assess the necessary robotic movements in the virtual environment, with the result that the robotic arm is up and running smoothly much sooner. 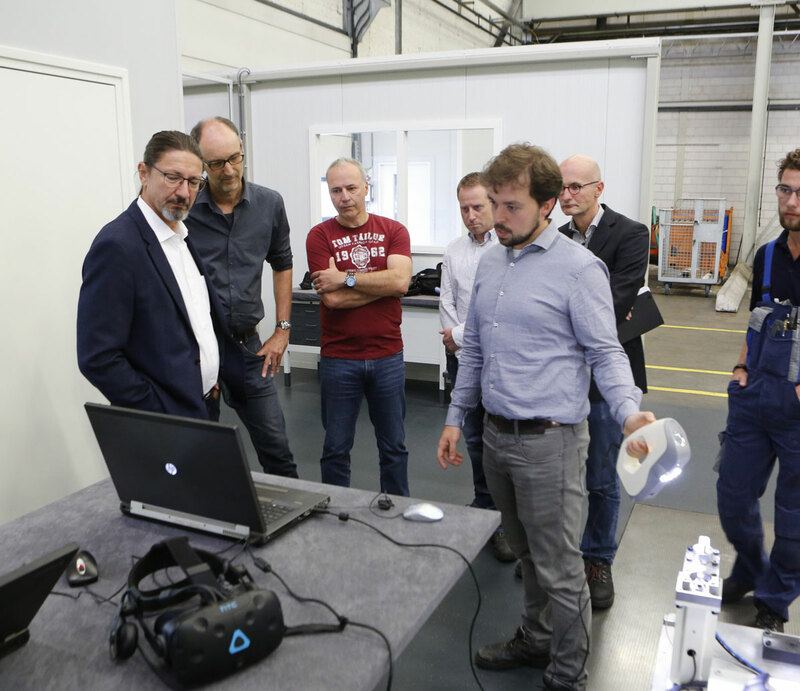 The joint project with technology company ABB and the colleagues in Bunschoten is unique: currently no other manufacturer offers such a highly advanced virtual reality program for its robots. One key factor in this success is close cooperation and direct exchange between the experts at voestalpine and ABB.